Cringle is the award-winning solution that allows users to send money across Europe using their smartphone in a matter of seconds. Cringle develops mobile payment solutions and is a reliable partner for all banks and app providers in Europe. With the Cringle technology, users are able to immediately, securely, and reliably send money to any cell phone, just like sending a text message. Leading online banks, such as DKB and Consorsbank, as well as personal financial advisors, such as Deutsche Vermögensberatung, already rely on Cringle and actively offer their more than 10 million customers Cringle as a payment solution. Over 3.5 million euros have already been sent via Cringle and with a monthly growth of more than 10%, we are steadily establishing ourselves as Europe's leading provider of mobile payments between private individuals. Cringle looks back on an eventful campaign and enters the home stretch. The smartphone is today’s constant companion in everyday life. We have the possibility to spontaneously fulfill these needs using our smartphones. I need to find my way somewhere? Look no further than Google Maps! I need a vacation rental? Get it booked with AirBnB within seconds. I need to quickly send money to a friend? Done in seconds with Cringle. Cringle is now the daily companion for those looking to make payments to friends and are short on cash or are looking to avoid cumbersome online bank transfers on their desktops. Cringle allows you to send money to friends across all of Europe working together with your own bank in just a few seconds. Cringle is a FinTech start-up (financial technology) that makes electronic payments in Europe possible via smartphone. Each bank and every app provider in Europe that is looking to offer their customers quick and easy peer-to-peer (P2P) payments is able to incorporate our Cringle technology into their own product portfolio. In 2014, we developed the Cringle app and an innovative mass-transaction platform. Together with the Deutscher Kreditbank AG (DKB, the second largest online bank in Germany), we built up the first bank-to-FinTech partnerships. We set up the payment system according to EU-wide banking standards and all the legal requirements. We then connected it to DKB's infrastructure. The Cringle payment system meets the same security requirements that apply to all online banking and has been able to utilize many years of previous experience in the areas of digital payment and bank partnerships. While taking into consideration the highly sensitive security requirements, we've been constantly developing new, innovative technology with our 15-person team since our launch in 2014. One example is our transaction solution that allows every private individual to send money via their smartphone without having to know and enter their long IBAN code. Cringle was the first company to carry out an equity-based crowdfunding campaign on Companisto and was also the first app and first FinTech product on the site. Thanks to more than 1,400 Companists, we were able to successfully complete our financing goal 200% ahead of our target. We were able to acquire Axel Springer as a strategic investor over the course of the campaign. What's more, Cringle built up a close partnership with the banking platform, solarisBank, which is in charge of handling payment processes for non-partner bank customers in other EU markets. We carried out our first product launch in Austria at the end of 2016 and plan on expanding into additional European countries by the end of 2017. Cringle has received many awards, and, in addition to our 75,000 users, the DKB, and solarisBank, our portfolio also includes clients like Bankhaus August Lenz, the Deutsche Vermögensberatung, as well as the BNP Paribas/Consorbank. What's happened since the first equity-based crowdfunding campaign? In June 2016, as mentioned, we launched our campaign on Companisto and were the first FinTech app to do so. Cringle was a hit and was able to surpass the €100,000 threshold within the first 24 hours. With the amazing support of the Companists, we were able to reach our investment goal of €400,000 before the deadline. Due to the many emails and requests we received by those interested in investing in Cringle, we decided to extend the campaign and raised our investment goal to €800,000. Thanks to the over 1,400 participating Companists, we were able to reach this goal prior to the end of the official campaign. Since then Cringle has steadily grown in the B2B area, and we've also been able to strengthen our B2B network by adding renowned partners. With the ongoing digitization of today's economy, we see a growth in interest in our P2P solutions. In particular, our API interface fulfills a huge customer need that, prior to our development, hadn't been fulfilled in Europe. In order to continue our growth and the positive development of Cringle, we're once again looking to the Companists for support. The funds are to be used to implement pending partnerships, create new, international partnerships, and implement planned, innovative payment solutions with our partners. We have decided to initiate another Companisto campaign, as we were receiving more and more requests from existing Companists that were seeking to increase their share in Cringle. What's more, an additional Companisto campaign will allow us to increase our pool of private investors and multipliers, which helps Cringle in terms of both its B2B and B2C areas. Cringle operates an innovative payment system that allows users to remotely transfer or request money from other users via a smartphone app (P2P transactions) within seconds. You only need the cringle app and the recipient's phone number. The user installs the app, signs up, and links the app with his or her bank account. Payments are possible without pesky diversions, such as fine print charges or virtual wallets (Wallets). The amounts that a user receives will arrive directly in his or her bank account. Conversely, the money is taken directly out of the account of the sender. By bringing P2P transactions into the mobile age, Cringle closes the gap between cash exchange and online referral. By bringing P2P transactions into the mobile age through Cringle, we're closing the gap between cash transactions and online money transfers. As a FinTech service provider, Cringle offers its technology via an innovative mobile payment platform to banks and retailers, which are able to offer their customers P2P payments and other services throughout Europe. Users coming from a partner bank receive a higher transaction volume with almost real-time transaction processing. Cringle has been working on its execution since the launch with the Deutschen Kreditbank AG and our partnership with the solarisBank began in 2016. The cringle payment structure is based on SEPA's direct debiting procedure, making it compatible with all European checking accounts. This includes virtual wallets, credit cards, and PostIdent (service from the Deutsche Post). Cringle offers its B2B customers a strategic added value. With Cringle, partners can increase the value of their product portfolios and make day-to-day life for their of their customers easier using our digital payment solutions. Cringle especially provides good access to "digital natives" and orients itself towards target groups for whom the smartphone is the center of activity for many things. What's more, Cringle decreases its users' dependency on cash. For users, Cringle offers an intuitive payment solution that lets you send money to any cell phone number in Europe free of charge. Registering only takes 60 seconds, all payments are executed through our partner banks and conform to German banking security standards. Its modern design and intuitive use make sending money as easy as sending a text message. Cringle operates a pure B2B business model and markets its innovative payment platform to banks and other companies throughout all of Europe. The business model is based on a traditional licensing model with a minimum lifetime of one year, which is common and widely accepted among banks as well as external service providers. The compensation model is made up of the following components: on one hand, the companies pay a one-time set-up fee as well as a fixed monthly base fee. What's more, companies pay transaction-dependent variable fees for which fixed quotas can be arranged. In return for the customized Cringle app that caters to their particular needs, contract partners receive access our development interface (API) as well as attractive advantages for their customers when using the app. What's more, Cringle will be introduced as a mobile payment solution for small companies and retailers. Here, a transaction fee of 2.5% is charged for these commercial payments as is typical for credit card transaction fees. Thanks to the payment infrastructure we've developed, Cringle is more attractive to companies than other commission fees on credit card payments, which are typical for credit card payments (3.5%). With Cringle, our approach of offering a business model for partnerships with banks instead of a stand-alone product is in alignment with the current market development of "fintegration". This means expanding the product portfolio by integrating FinTech solutions gives us a clear competitive advantage. Our payment structure is based on the widespread and long-established direct debit procedure. Unlike other providers, which are based on virtual accounts or even credit cards, Cringle is available to every European bank account. No provider of P2P payments solutions operates the same way Cringle does or can be used across Europe, allowing users to transfer money to all their friends. Most solutions are country-specific and may only be used with certain banks. No other provider has yet been able to implement Cringle’s pan-European approach. A simple, user-friendly registration that meets the strict requirements of financial supervision to combat money laundering and financing terrorist is currently one of the biggest challenges in the financial sector. With Cringle's new, real-time verification, users can verify and activate their accounts within 60 seconds. The integration of this technology via API into, potentially, every app in Europe opens up enormous potential and brings P2P directly to the ‘Use case’. When selecting partnerships, our commitment to quality and credibility is as important as mutual trust. We wish to support the Cringle brand as well as the partner's brand. A strong foundation for this are the partnerships and close customer relationship with Deutsche Kreditbank AG, solarisBank AG, BNP Paribas - Consors Bank, Bankhaus August Lenz, DVAG, Axel Springer, and Microsoft , among others. solarisBank is the first online banking site with a full banking license that enables companies to offer their own financial products. SolarisBank's partners can also access services from third-party providers integrated into the platform using an API connection (a connection via a programming interface). This is why solarisBank creates a highly developed, technologically speaking, and regulatory, seamless ecosystem for the banking and finance sector. The solarisBank is the ideal partner for Cringle in addition to the German Credit Bank (DKB) and will support the further internationalization of online payments. Axel Springer SE invested in Cringle GmbH in September 2016 and provides a large budget for marketing. Axel Springer is the market leader in the German print business, with subsidiaries, joint ventures and licenses operative in more than 40 countries, for example, via its Welt.de and N24 TV channels. This makes Axel Springer an ideal media partner for further dissemination and progressive internationalization. With the marketing budget and the expertise of Axel Springer, we position Cringle as a leading P2P provider for banks and app providers across Europe. In the ten most attractive markets in the SEPA region, there are over 5,000 banks in operation that are attractive for us. In addition, all European app providers who wish to provide their customers with fast access to P2P payments are eligible partners for Cringle. This customer segment is much larger than the European banking sector. The European payment market currently has a profit pool of around €38 billion (for transactions worth €190 billion) for the providers, which are processed through various payment methods, including cash transactions. The substitution of cash will steadily increase and digital transaction solutions will witness correspondingly higher demand. Therefore, we forecast rapid growth: there is an annual growth rate of around 7% in Europe. This means that the profit pool will grow to 55 billion euros by 2020. Cringle is currently available in Germany and Austria. After having won an international partner with solarisBank, we are planning to expand to other countries in 2017. The most attractive markets for expansion are Spain, Portugal, and Italy with almost 1,000 banking institutions and a total of over 116 million inhabitants. In principle, as shown above, the entire SEPA space can be viewed as a potential market. The main goal is to gain pilot customers for our Cringle app and Cringle API in other European markets in order to strengthen our base for internationalization. Correspondingly, funds from equity-based crowdfunding should be used to build local partnerships and initiate innovative projects with new digital payment solutions. As a start-up, Cringle has managed to be seen as a partner in a relatively short time in the rather conservative banking segment. This is why we are striving to position our innovative API more strongly in the non-banking sector through clever marketing. In product development, Cringle will further expand its lead in technology with new features; Innovations are planned for both users and our customers. These new functions have already been planned in detail and are about to be implemented. We will provide further insights at the launch. Of course, we’ll be sure to keep you updated, dear Companists. The largest investor of Cringle GmbH is Axel Springer SE. Axel Springer is not only an ideal media partner but as Europe's leading digital publisher has first-class contacts in a wide range of fields, which are of immense benefit to Cringle. Prof. Rüdiger Zarnekow (holder of the Chair for Information and Communication Management at the Technical University of Berlin and experienced business angel). Companists are also users of our app - support us in our further developments, e.g., by providing hints for improvements, desired features and possible errors in the app as well. We are very active on Facebook, Twitter and Instagram. We are happy about any kind of content, shared content and positive comments - tell the world if you like our app. Strategic partnerships to enhance the reputation of Cringle are essential to us. With the new API, Cringle offers extra value for non-banks. If you know of in a company that is looking for an easy payment alternative for its customers, please contact us. 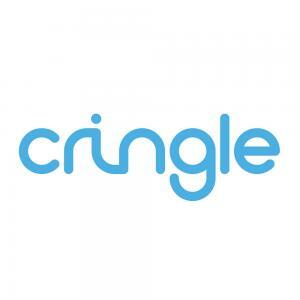 Cringle is an app for your entire circle of friends and our companion a powerful marketing tool. You like Cringle as much as we do? Send small amounts of money to all friends in your address book and pay them back only via Cringle in the future. Founders of Cringle. (from left to right) Joschka Friedag, Konrad Maruszewski, Alexander Nehls, Malte Klussmann.